The tales of Northern Europe only skim the surface of this noteworthy region. Step back in time amidst Tallinn’s old town, journey along the Flam Railway, or take a Latvian cooking class. 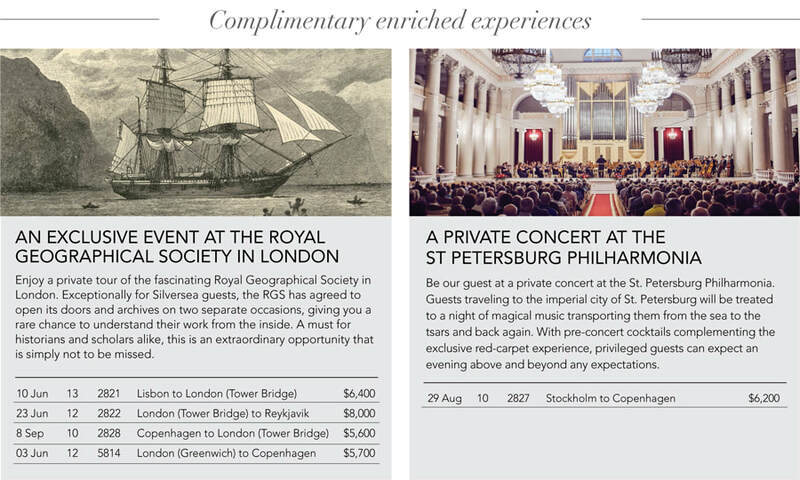 Gain a unique perspective on each destination across historic lands full of legends, plus delight in complimentary experiences ashore, including private tours and symphony concerts. Silver Spirit makes her European debut in 2018, offering exclusive routes as she — along with Silver Wind — cruises up Norway’s North Cape. Our small ships get you much closer to Europe’s grandest wonders, while other big ships must anchor offshore — and our current air offer includes free roundtrip economy air or business class upgrade for just $599 each way. From architectural splendors and grand palaces ashore to personalized service and gourmet dining on board, Silversea’s luxury cruises to Northern Europe and the British Isles are something to write home about. 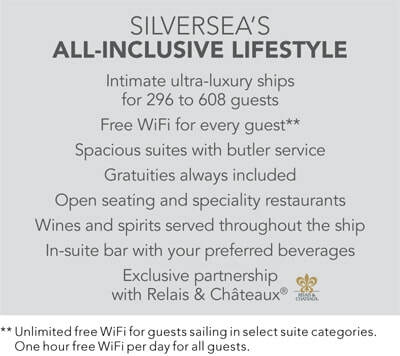 BOOK YOUR SILVERSEA VOYAGE TODAY.